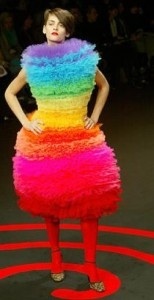 Palmer Pletsch – Nice dress! Thanks, I made it!! 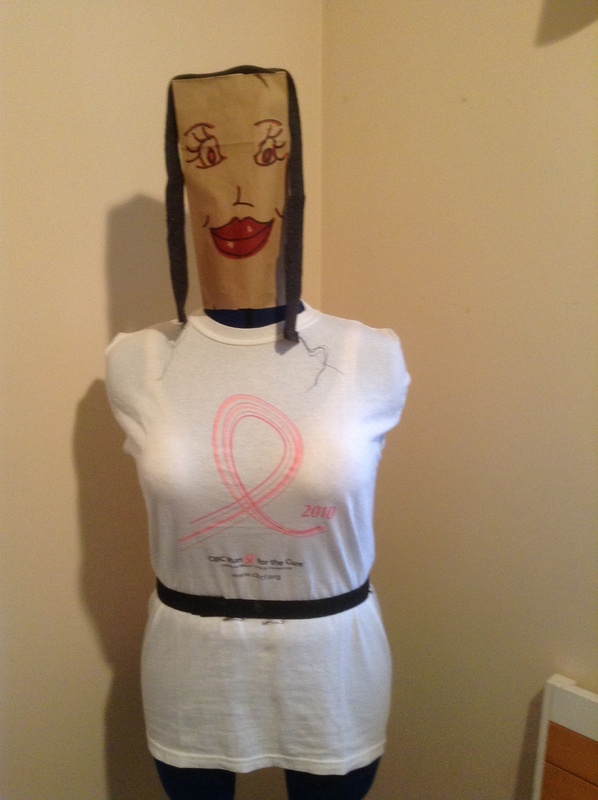 …and a true sewing challenge! Perhaps you remember the day I ambitiously chose to cut out material for three shirts in one afternoon full of interruptions, blogged here, with terrible results? I have yet to take a close look at my work to see what size all three fabrics, indeed every pattern piece, has actually been cut to. Which line did I use? Well now it is time to start sewing them up. 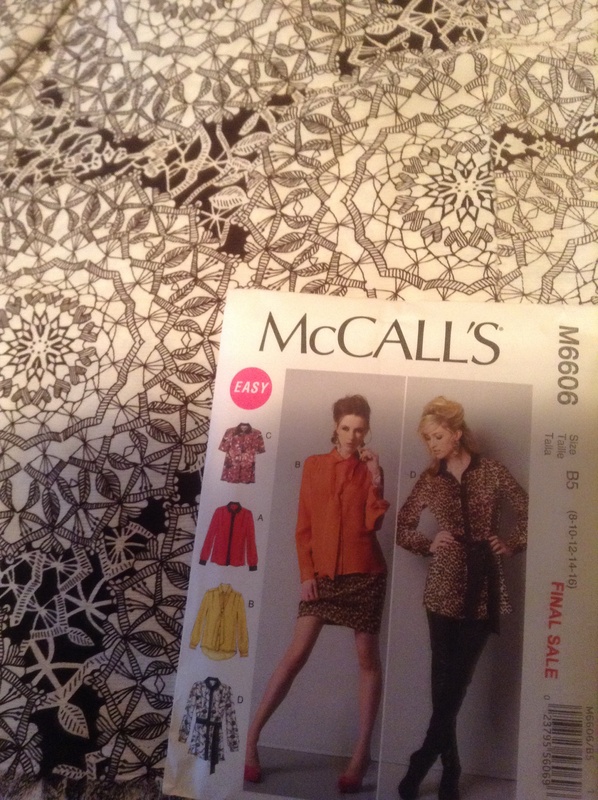 Upon opening up my first set of pattern instructions, for McCall’s 6076, (I can’t even remember what view I cut out! ), I find eight pages of instructions! Apparently it is a “Palmer Pletsch” Classic Fit shirt. Who needs a book? Who needs a course? These pattern instructions are full of details and diagrams for getting the tissue ready, making adjustments to the hip and waist, back width, full bust, princess seam placement, on and on… Hmmm… Things I should have read and done BEFORE I cut out the fabric! Oh Joy! BTW here is my pattern and my two lovely fabrics. I can’t remember what kind of fabrics these are, they were just pulled from my stash, but they are probably a polyester, even though they feel like silk. I think I should sew these two tops up with my fingers crossed! Below is the third fabric I cut out on that day. 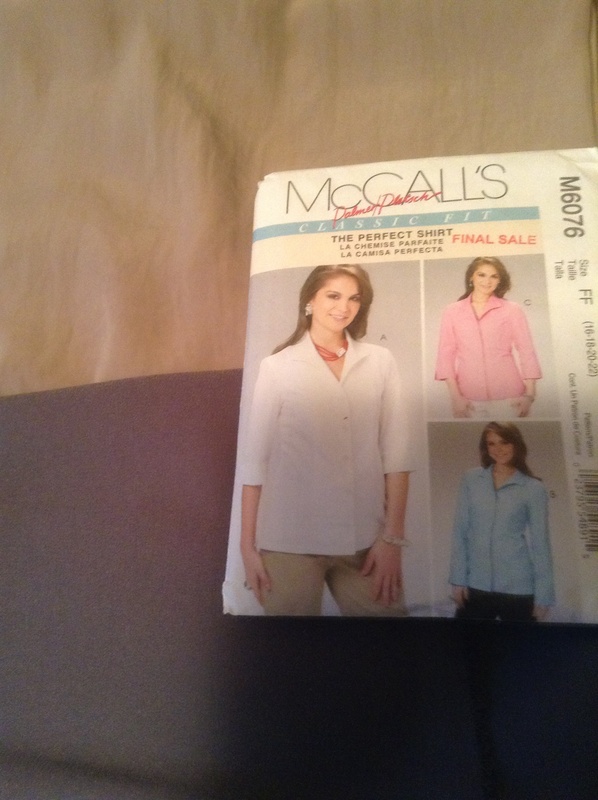 McCall’s 6606, view C. Again, I am unsure which size I cut out – did I cut it too big or too small, which line did I use? At least this one, being “not fitted” and having a lot of design on the fabric, will be more forgiving. I think Dolly is going to come in very handy when I am putting together these tops, with me trying and adjusting every piece on her. First I will have to double check her measurements with mine to make sure she hasn’t been jogging too much or sneaking too much chocolate! Now not to offend anyone, Palmer Pletsch, or even you Oprah, honestly! Read it yourself! 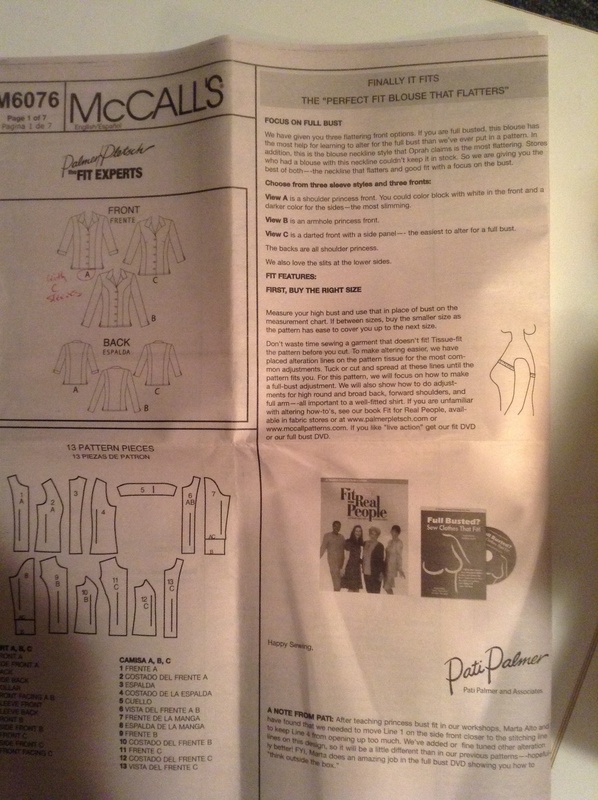 Palmer Pletsch even call their pattern “the Oprah blouse” on their website! When I started sewing long, long ago you knew you were done the outfit when you finished all the steps and could wear it! 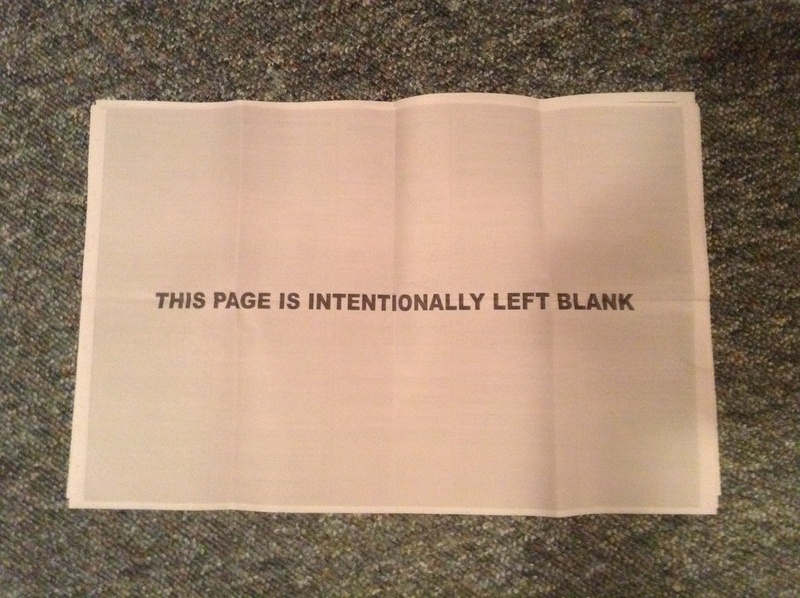 Now you know you are done when you read “This page is intentionally left blank” . P.S. Remember the most important rules – Read the instructions first! 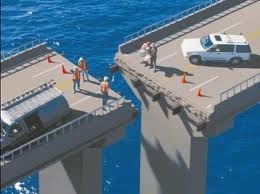 Then – Measure twice and cut once!